Versatile and lightweight: one simple tool free manoeuvre is all it takes to fix or remove the waterproof Seatpost-Bag made of PU coated nylon and Cordura. The integrated mounting allows quick change from bike to bike. The roll closure with elastics ensures safe closing of the bag and allows tight packing. The Seatpost-Bag is available in two sizes, the 1.5 litre version being suitable as an additional bag for longer trips, the 4 litres model might even replace a backpack. Both versions will protect the rider from splashes and dirt. It Says It Comes In Blue/Black How Do You Specify Black? This bag is both blue and black hence why it shows both colours in the title. 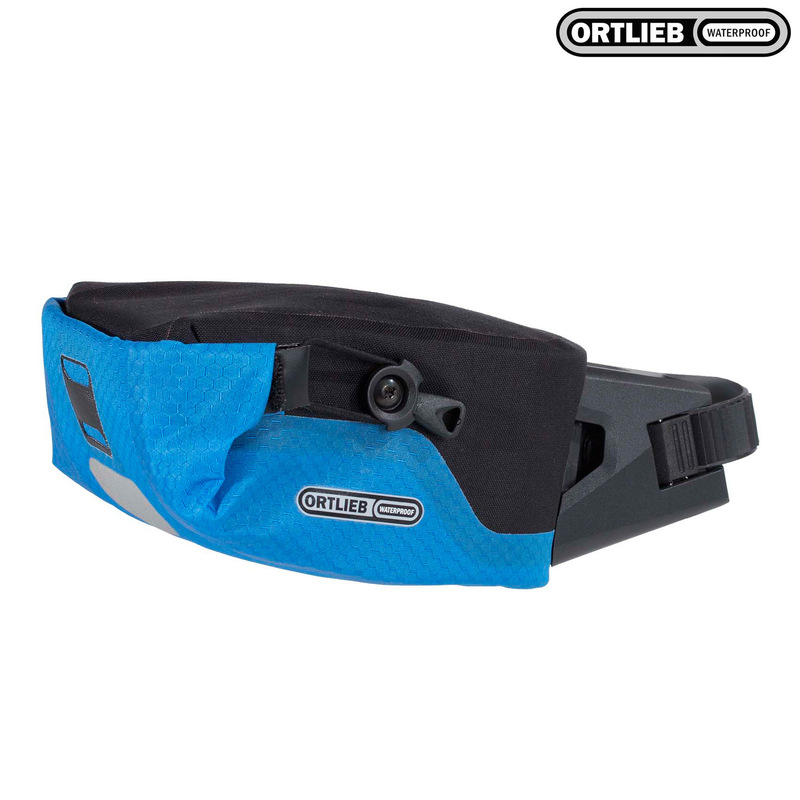 Ortlieb do not produce a totally black version of these bags, the closest they offer is a slate and black which we stock under SJSC part number 42437.